Not every side chick ends up getting the short end of the stick, believe it or not. From expensive gifts to lavish vacations, the other woman usually ends up benefiting in a way that makes her life total luxury. Even though the United States welcomes all A-list musicians and actors with their plethora of gorgeous woman, other countries also encourage cheating, including China. Powerful men do stay with their wives, but also more than likely have another woman or two on the side, known as concubines. A documentary states, “With the economic liberalization of China and the rise of wealthy businessmen, an ancient tradition has resurged: the concubine. Young women, often students from poorer families, seek positions as mistresses at the beck and call of wealthy men.” The side chicks of China absolutely rake in the perks of a successful man, from receiving spending money to a $500,000 penthouse. But, rarely will a man ever actually leave his wife for his mistress, unless that is, he’s living in the United States. Actor Brad Pitt blew fans away across all continents when he and his wife, Jennifer Aniston split, who had been together for five years. He set his sights on Angelina Jolie after his divorce was all said and done. While their break up happened before he met the By the Sea actress, the truth was quieted by rumors. People instead ended up believing he cheated on Jennifer Aniston, which she came out and wound up debunking herself. Like any other lovebirds in Hollywood, the couple drifted apart. Usually, the reason behind married couples splitting is a third party, though. Sometimes they either marry or date the third party, as their exes pick up all of the pieces of their previous crumbled partnership. After famously hitting Rihanna, Chris Brown wound up setting the tone for all of his own relationships to come. He love life has never really recovered. Even after he began dating Karrueche Tran, she ended up getting just as much hate as him. Rather than reveling in the limelight of her famous boo, their relationship was talked poorly about by online trolls, even calling her a side chick. The circulating rumors were picked up by various publishing articles, only reinforcing the gossip. “Breezy had an affair with aspiring model while he was with Rihanna. Then, he and Riri broke up, and he wifed up Karrueche,” an article has stated. 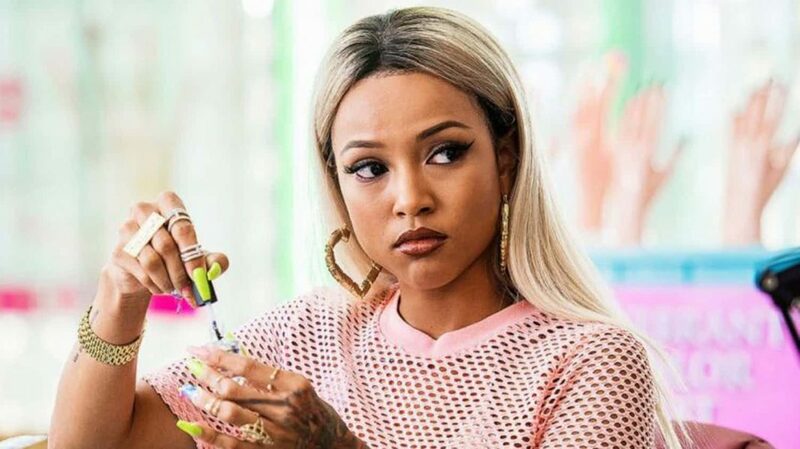 Karrueche Tran became very upset and saddened by all of these rumors, but maybe it was just the truth that upset her? Either way, she and Chris Brown eventually broke up. He wound up getting his other side chick pregnant.